RealEstateRama NAR President John Smaby issued the following statement after District Court of Columbia Judge John Bates struck down a Department of Labor attempt to expand association health plans earlier this week. WASHINGTON (April 1, 2019) — (RealEstateRama) — One in six Gen Xers purchased a multi-generational home, overtaking younger boomers as the generation most likely to do so; with 52 percent of those Gen X buyers indicating that they did so because their adult children have either moved back or never left home. This is according to the National Association of Realtors®’ 2019 Home Buyer and Seller Generational Trends study, which evaluates the generational differences1 of recent homebuyers and sellers. The report also found that older millennials who bought a multi-generational home, at 9 percent, were most likely to do so in order to take care of aging parents (33 percent), or to spend more time with those parents (30 percent). While the majority of buyers in all age groups are married couples, single buyers and unmarried couples continue to make a mark on the real estate market. Single females accounted for 25 percent of all younger boomers and silent generation buyers. “Many of these buyers are entering the market after a divorce, which is the case for younger boomers, or the death of a spouse in the case of those in the silent generation,” says Yun. A majority of buyers and sellers work with a real estate agent, regardless of age. Buyers and sellers across all age groups continue to seek the assistance of a real estate agent when buying and selling a home. At 92 percent, younger millennials were the most likely to purchase a home through a real estate agent. “Help understanding the buying process” was cited as the top benefit younger millennials said their agent provided (87 percent). 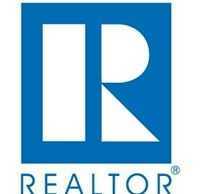 Across all generations, 87 percent of all buyers purchased their home through a real estate agent. ###1 Survey generational breakdowns: Younger millennials (ages 21-28); Older millennials (ages 29-38); Gen Xers (ages 39-53); Younger boomers (ages 54-63); Older boomers (ages 64-72); and the silent generation (ages 73-93).